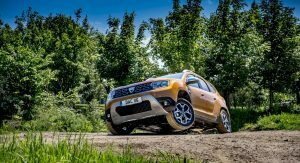 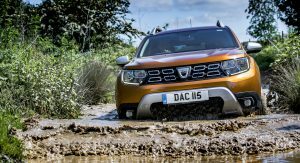 The new-gen Dacia Duster is now available with the Blue dCi 115 diesel engine, coupled to all-wheel drive, in the United Kingdom. 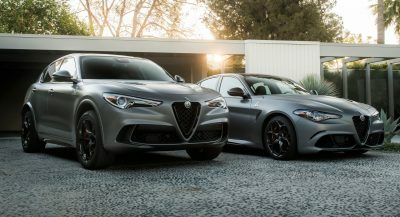 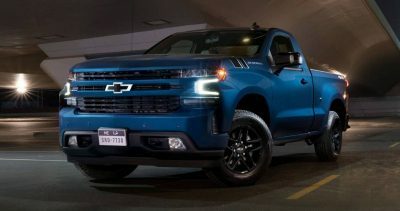 Rated at 115 PS (113 hp / 84 kW) and 260 Nm (192 lb-ft) of torque, the 1.5-liter diesel engine is mated to a manual transmission and can be ordered in three trim levels, called Essential, Comfort and Prestige. 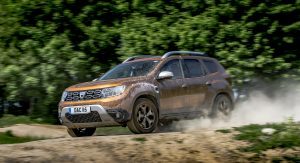 The 2019 Duster Essential Blue dCi 115 4×4 starts at £15,695 ($20,125/€17,735) and comes with standard manual air conditioning, DAB radio, Bluetooth, multi-function steering wheel, body-colored bumpers and 16-inch ‘Fidji’ steel wheels. 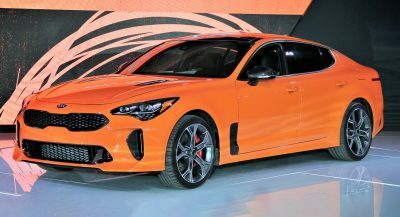 With an MSRP of £17,395 ($22,305/€19,656), the Comfort grade adds more equipment, including rear parking sensors, reversing camera, heated and electrically adjustable side mirrors, and 16-inch ‘Cyclade’ alloy wheels. 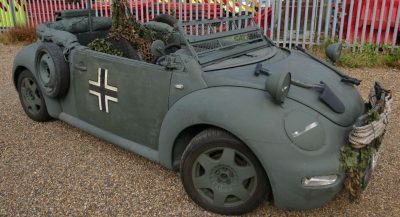 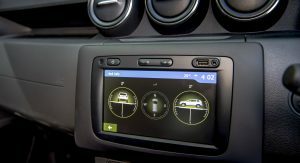 The MediaNav infotainment system with 7-inch display, sat-nav, USB and AUX ports, 7-function on-board computer, leather-wrapped steering wheel, graphite cloth upholstery and front-seat armrest are all standard. 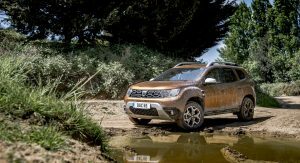 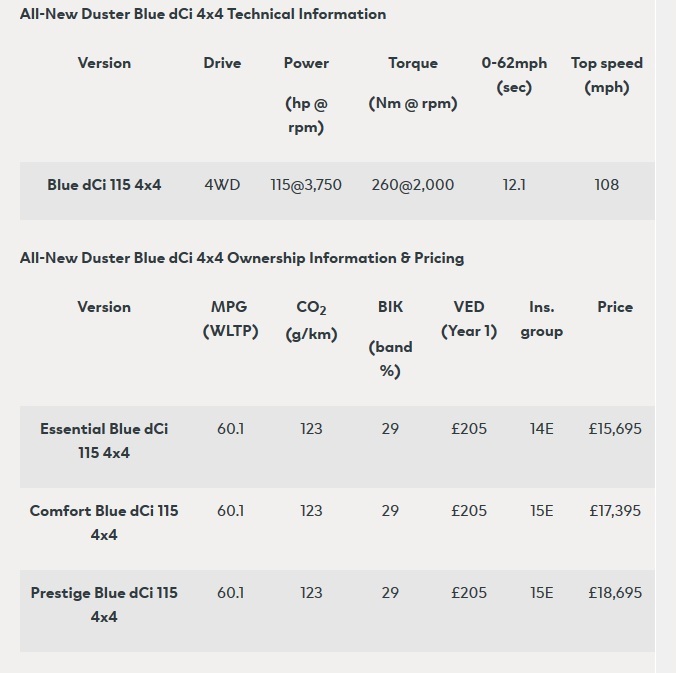 Finally, the Duster Prestige Blue dCi 4×4 can be had from £18,695 ($23,972/€21,125), and comes with standard 17-inch ‘Diamond-cut’ alloy wheels, multi-view camera, Blind Spot Warning, keyless entry and climate control. 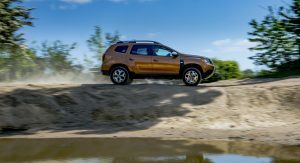 Regardless of the chosen variant, all four-wheel drive Dacia Duster models have a standard 4×4 monitor that shows the car’s angle in real-time, and incorporates a compass. 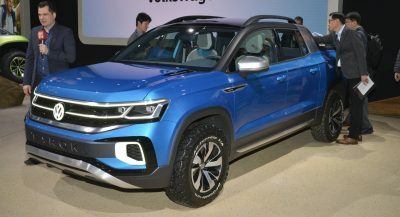 Hill Descent Control and Hill Start Assist, along with approach and departure angles of 30 and 33 degrees, respectively, and a 210 mm (8.3 in) ground clearance improve the vehicle’s off-road capability.